However, as in Italy with the Super Tuscans, there are wines that sit outside the AOP classification, yet still offer very high quality wines and once discovered often enjoy a cult following. 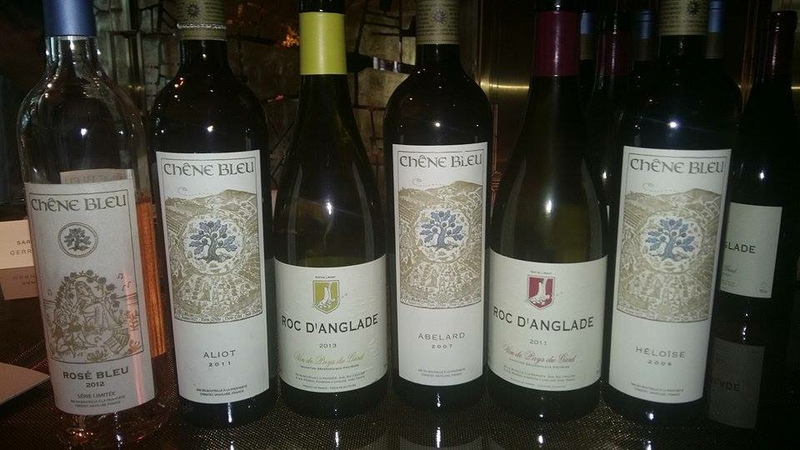 Wines produced by Chêne Bleu and Domaine Roc d’Anglade are perfect examples. At a recent lunch courtesy of the team at Sarment Wine and with fellow wine media members we tasted through a selection of wines from both producers while enjoying the superb food at Épure in Tsim Sha Tsui. 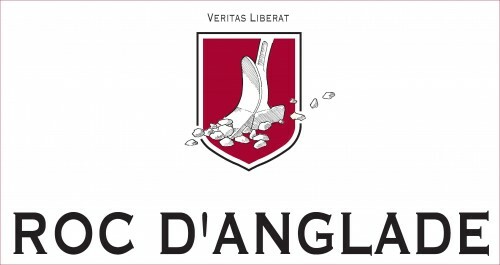 Domaine Roc d’Anglade of the Languedoc region is located southwest of Nîmes in the village of Gard, while Chêne Bleu can be found in Provence, high in the Dentelles de Montmirail near Gigondas. Chêne Blue, with its distinctive logo, is named for the blue oak on the property. Fellow writer Gerrie Lim tells us that during his visit to the property in 2012 for Prestige magazine, he learned that the old oak was in danger of dying from disease and so it was painted blue with copper sulphite to protect it and preserve its life. As our meal progressed, the matches with the wine revealed the true skill of Kimberley Drake, Head of Wine at Sarment. 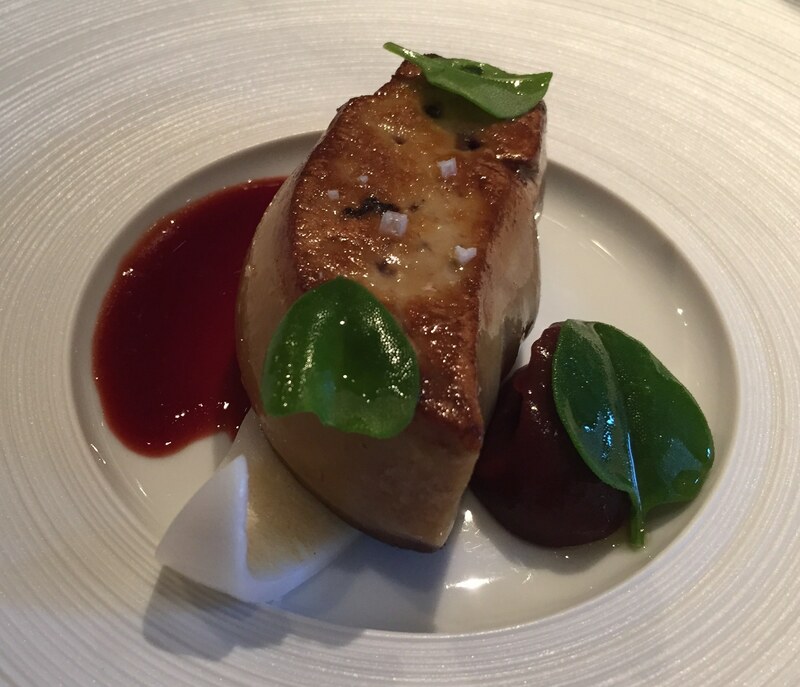 Standouts were Roc d’Anglade Gard Blanc 2013 with the foie gras de canard. The Gard Blanc is a white blend of Chenin Blanc (95%) and Grenache Blanc (5%) and the rich texture of the wine from the use of lees contact worked perfectly with the richness of the foie gras. This is a wine of delicious stone fruit, quince and citrus flavours with a herbaceous character to the finish. Adding to the structure of the wine was a creamy texture deftly managed by refreshing acidity. The Gard Blanc was also enjoyed with the Paris white button mushroom soup and baby spinach gnocchi. Again the creamy texture of the wine with the mushroom soup was heaven. 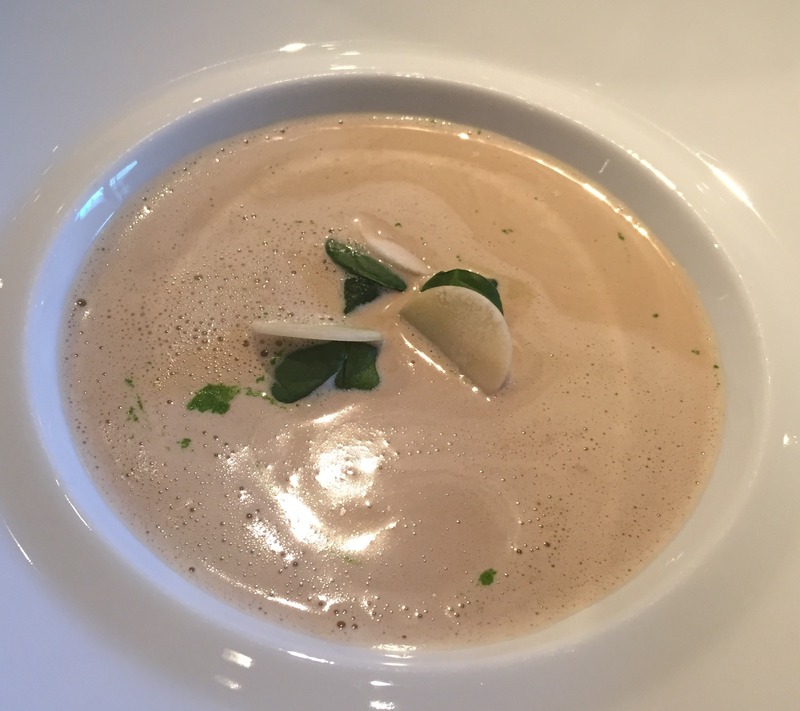 I should also clarify the mushroom soup was made entirely of Paris white button mushrooms and without the aid of cream, milk or any additions, the chef created the quintessential “mushroom soup” that had the table in complete agreement – if the dining was not in such a fine establishment we might all be licking our bowls clean! For the reds, Chêne Bleu Abelard 2007 and Heloise 2009 were very much enjoyed for the contrasts they offered. The Heloise revealed a structure with an enticing tension, it was elegant and refined showing red fruits, pencil shavings and dried herbs. Where the Heloise was taut with promise, the Abelard was more forward in its offering of red and black fruit, savoury garrigue notes and a good dose of spice, particularly black pepper. The balance of fruit and savoury flavours, acidity and very fine tannins was just right – the “perfect storm” as Ms Drake described it and I couldn’t agree more. All wine images kindly provided by Sarment Wine. 1. IGP; Indication géographique protégée. AOP; Appellation d’origine protégée. You’re making me hungry…and thirsty! Ooh! So interesting to read about the blue oak. Gerrie always has the best little tidbits of information! Absolutely – always a pleasure to taste wines with him!